So, here we are and it’s 2015. What are your gaming hopes and dreams for this year? I’m not going to bore you with mine except to say that I am going to play more games this year. Obviously, I have objectives for the site but I think it’s better to just forget shouting about them and get my head down. The move to the new domain has had to be delayed a little bit because the new theme is not working quite right and it’s better to do a “Valve” and move when it’s ready rather than on a specific date. That said, I don’t think it will be delayed long. Anyway, over to you, let’s chat. In June, I started to use a poster from a classic Sci-Fi move as the background for the post image. You know what game would be awesome with a Source engine remake? I am the first, i think, who wish You a Happy New Year, Phillip! A Happy New Year and to Phillip and everybody. The new domain will be fun when it’s ready. Now back to smashing some headcrabs, first time this year. Hope you and all the rest have a great new year as well…minus 18 here but the petchka is stacked with logs and all is well, roll on Summer..
Have a happy new year! I hope that a lot of great maps and mods come out, looking forward to seeing what the new site brings whenever it arrives. Happy New Year Phillip! I know I’m 4 days late, but whatever. Thanks for having such a great site, housing thousands of HL mods. Also, I think I’ve said it before, but I’m actually making a mod (or just an awful map to begin with). Great news that you are making a mod. I recently did a full install of Windows 8.1. 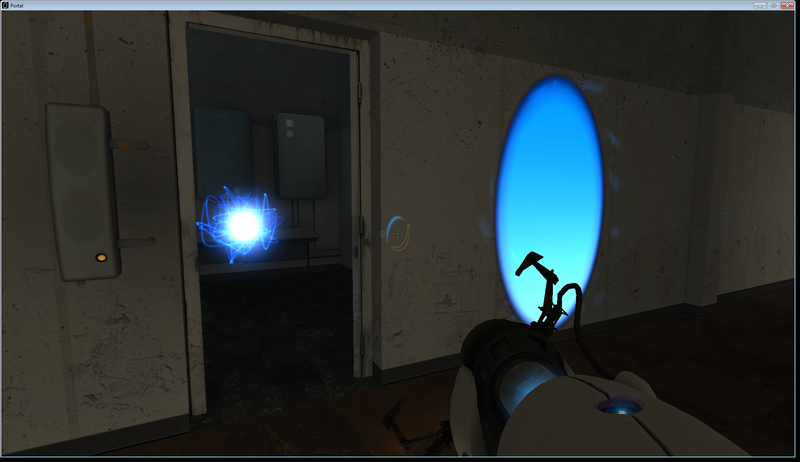 I’m now finding that whenever I run Half-Life 2, it doesn’t shut down cleanly. When I launch it and get to the title screen and do Quit Game, the scene locks up for a moment and then kicks me back to the desktop. hl2.exe continues running. Steam says I’m still playing it and I can’t close Steam as a result. Trying to do End Task on hl2.exe results in an “Access is Denied” dialog, despite being an Administrator. I can End Task on the Steam Client Bootstrapper itself, which causes it to kill Steam, but hl2.exe keeps churning away for about 5 minutes before unceremoniously terminating itself. At no point is any kind of error message shown. – Validating files. No errors are found. – Getting SteamVR and validating again since, naturally, Steam didn’t get SteamVR itself despite being a prerequisite. No errors are found. – Disabling the Steam Overlay. Still broken. – Disabling Steam Cloud. Still broken. – The nuclear option of removing all Half-Life 2 games and redownloading Half-Life 2. Still broken. – Running Garry’s Mod results in the same thing, so it’s not just limited to Half-Life 2. It’s possibly all Source things. Any thoughts? I’ve found others with this same problem, but no one seems to have consistent solution. Reinstalling Steam may have fixed it for now. Have to see if it comes back. People, it’s my 17th year since I first played Half-Life 1, at that time I was in “9th grade” (in USA system, in France it’s called “3ème/Troisième”), I was 13 years old, damn. In 2004, HL2 was released, I was 19 year old, it was my first year in my university of medecine in Bordeaux, at that time I couldn’t play it since it was a year with an extremly competitive exam at that end (3% chance of succeeding on the first try), so I waited till Fall 2005. HL2 Episode 2 was released in 2007. Since, I’m now fully graduated, I married in 2011 with a fellow colleague, I’m the father of a beautiful girl since july 2013, I have less and less time to play video games, or mod’s, but for god’s sake, I swear that each day I’m still checking news for mod’s and HL3. Half-Life was never meant to be simply a game. Here or elsewhere, I’ve seen so many people who dedicated so much of their lives to this saga. So am I. But of course it’s not only the original saga (unless you count CS 1.6 where countless hours were “lost”), but because of you, all the modders and players making the games continue to live. There is no coming back until it’s finished. You know what would be nice Phillip? Instead of having competitions that do little to enhance the half life and half life2 experience… It would be nice if you could address the mod situation..I.E. mods that no longer work..yes I know you did a thing ages ago!! Delete that page and look and post new fixes would be helpful. I have to partially disagree with you. I believe that in general readers want both NEW and Old maps and mods to play. One of the best ways to get new content is for me to run the competitions/challenges. There is no doubt that updating older mods and updating the posts that are incomplete is a valuable use of my time, but it’s not the only use. I don’t know what “page” you want me to delete. I’ve already explained my reasons for moving to the new domain and after having taken a few years to finally decide, I still believe it’s the right thing to do. I want mods too and getting older mods to work is important, but not more important than new mods. I feel I am doing something positive. Once the new theme is online, I will begin some events that get the older mods working, so I expect you to play an active part in that, or are you just one of those people who come to the site, download a mod and never interact? If you are, you have no right to “tell” me what I should be doing. Anyhow, this project does maintain some connection to our community because I’ve enlisted the vocal talents of our very own Phillip, along with Darren Weekes (a.k.a. Daz), Rob Martens, Brett Kinsella (voice work from Forest Train) and myself to give custom voices to all the pilots during their thrilling mission to protect a medical installation from attack! It’s been quite an undertaking with over 40 lines of dialog so far. I hadn’t heard of FreeSpace before but from what I gather it’s a spinoff of Descent. I like that game a lot so I’ll check out both FreeSpaces soon, also I’ll play your project for it whenever it comes out because I love all three of your HL2 mods (and Ville entries). I used to make maps for Descent a long time ago. I actually contemplated whether I’d do a retro project for Descent or FreeSpace, but FreeSpace won out because Descent doesn’t really hold the same appeal for me anymore. After Descent 2, the developer split in two. One developer made Descent 3 while the other, Volition, did FreeSpace, and eventually went on to make Red Faction and Saints Row. FreeSpace is a first-person space combat game, similar to Wing Commander, where you are a pilot and fly missions as part of a larger war between a number of colorful factions. From what I understand, the Steam version is woefully broken, so your best bet for acquiring the games is GOG.com. You can then get the fan-made enhancements from FSOInstaller.com. Their Installer is very easy to use – you can just point it at the .exe file you get from GOG and it will do the rest. Using Page up and page down may make your day a bit easier. It’s HL2 elements mixed into a real world setting. What’s going to become of all the links that currently point to PlanetPhillip once the RunThinkShootLive move happens? I will be setting up what is called a Permanent 301 redirect. This means any link you visit on PP will be directed to the same link on RTSL.